Everyone has their own personal reasons for traveling. Some might be interested in ski places around the world or famous places where movies were filmed. As such, the number of ways one can be inspired to visit a certain place are limitless. Here is where I go to get a few ideas of where to go next. This should come of no surprise. Despite the prestigious recognition, not all UNESCO World Heritage Sites on the beaten path. In fact, it is UNESCO’s ability to see value in an ultra popular site like the Great Wall on the same footing as an almost impossible to reach place like Papahanaumokuakea (mouthful isn’t it?) that makes this list so appealing to me. Whenever I book a flight somewhere, I make sure to look at UNESCO’s site map (which also inspired my blog’s homepage) to see if there is something I am missing. On some occasions like with Komodo, an entire trip might be to reach one of these incredible sites. Inspired Trips To: Nazca Lines (Peru), Haeinsa Temple (Korea), and the Pyu Ancient Cities. I am a nature lover and as such, and a huge fan of the BBC’s incredible documentaries. “Planet Earth” piqued my interest, but it was “Life” which really got me hooked. 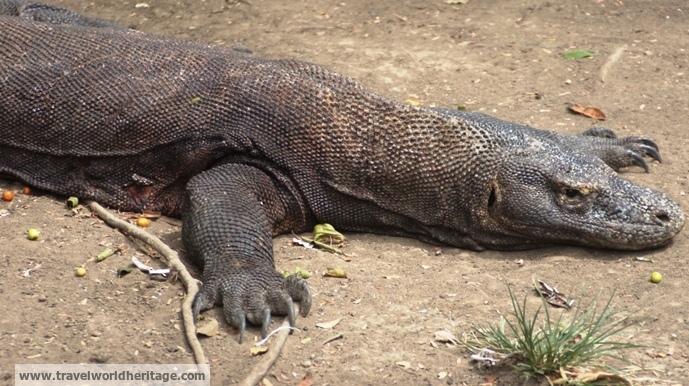 If it wasn’t for the second episode on Komodo dragons, I might have never gone to that natural wonderland. The absolute best documentary series though, is “Human Planet” which introduces some of the most fascinating human cultures in our world today. 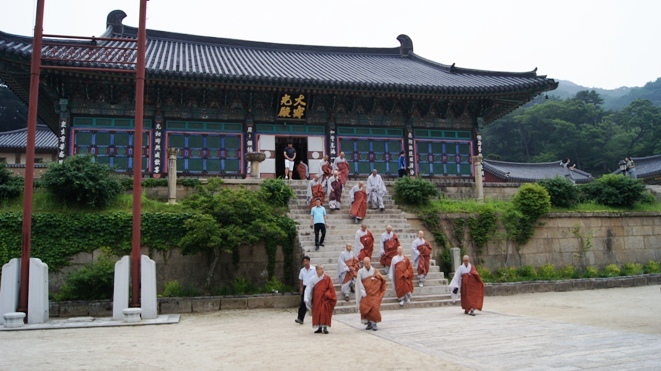 The monks at Haeinsa start the ritualistic climb up Gayasan mountain. Contrary to popular belief, the travel writers of these fine publications are no more qualified than you or my to give advice. After all, they are just travelers like us who have flawed ideas, bias, and misconceptions they just can’t shake. On occasion though, they do seem to hit a homerun with a remarkable article to dazzle the imagination. After living in Korea for so long, I looked to these to get more ideas of places to go. Some stories are so spectacular, you remember them for a very long time and grow an obsession. Personally, I just must go to Palmertson Island. While I do spend more time online than I would like to admit, it is hard for me to commit to any one site. The ONLY website I have followed for almost 5 years now is Listverse. Much like the name suggests, it is a website that introduces a top 10 article every day (now, it is three per day). Anything from “top 10 mysteries,” to “top 10 evil clowns” are fair game. In addition, it has a wonderful community of people known as Listversers. While this might not have a consistent flow of travel related articles, the rare article is stunning. It was listverse that first showed me some of the more obscure UNESCO World Heritage sites, and introduced me to this list of weird trees. Give it a try, and you will surely be hooked! 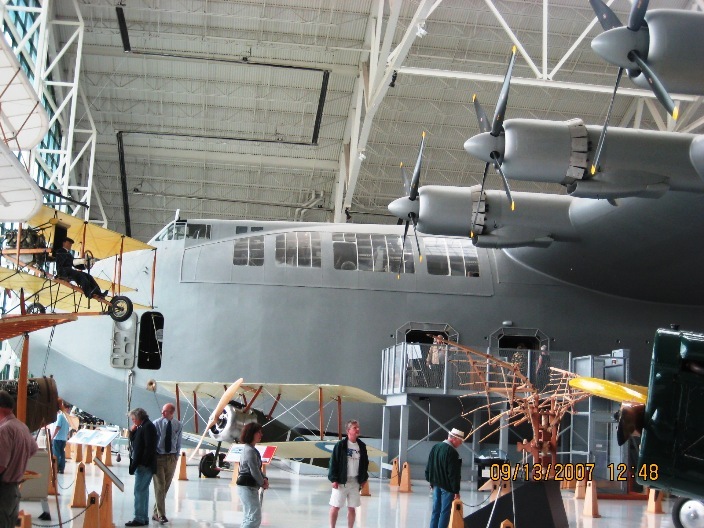 The largest airplane ever built: The Spruce Goose. This might seem like a really old school way to get inspired, but it really works. While in a bookstore (yes they still exist) around 7 years ago, I got myself “100 Amazing Places in the US” (or something to that effect). I loved it so much, a friend took notice and got me an updated “500 Amazing Places Around the World” (again, or something like that). Those along with “Road Trip USA” were the foundation to many of my early travels across the country and into Mexico. Inspired Trips To: Meteor Crater, Sian Ka’an, Sedona. There is a very obvious omission to this list, and that is other travel blogs. Early on in my blogging, I use to read dozens to get ideas and inspiration. Honestly, I have a love / hate relationship with blogs as of late, but that is a story for another time. ← Why Is Myanmar So Amazing? Why Is Myanmar So Amazing?